As South Winnipeg-St. Norbert councillor Janice Lukes prepares to form a residents’ association to combat illegal housing around the University of Manitoba, she is increasingly modelling her efforts around what other university communities have done. “This problem is not unique at all, it’s all over but many communities have said […] ‘everyone needs to pull up their socks and work together,’” Lukes told Manitoban earlier this month, adding that the residents’ association should look closely at what other communities have accomplished when it comes to off-campus housing for students. Last week, the Manitoban reported that Lukes was beginning the process of forming a residents’ association starting with a community meeting on Sept. 30. The association will work to combat the growing problem of illegal rooming houses around the University of Manitoba, where restrictive zoning bylaws and high demand for cheap housing is leading many to convert single family homes into multi-unit dwellings that violate the Manitoba Building Code. Over the summer, Lukes commissioned Jessica Rebizant, a recent University of Manitoba graduate with a master’s in political studies, to conduct a jurisdictional scan of other universities across the country. 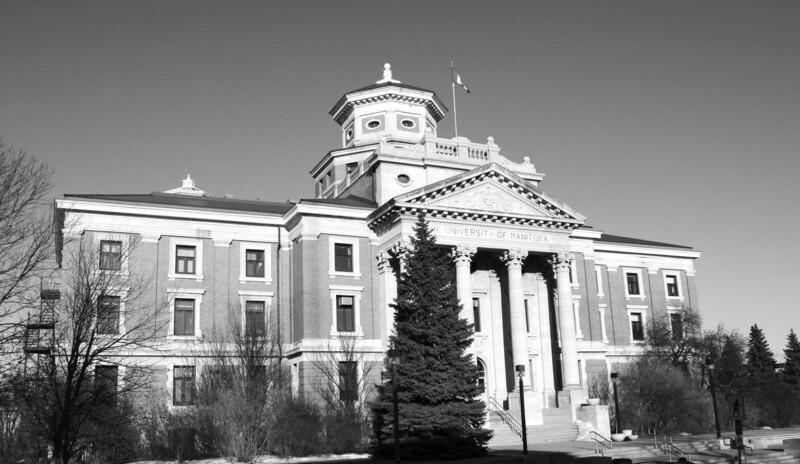 What she found were distinct parallels between the University of Manitoba, where increased enrolment coupled with a shortage of on-campus housing is driving the creation of illegal rooming houses, and university communities in other jurisdictions. Rebizant examined neighbourhoods around McMaster University in Hamilton, Ont., the University of Ottawa, and Stony Brook University in Stony Brook, N.Y.
“Communities, no matter what jurisdiction they were in, all faced kind of the same breakdown in a relationship between the long-term residents and the student renters,” Rebizant said. The University of Ottawa is a modestly sized downtown campus situated in the Sandy Hill neighbourhood and bordered by the Rideau Canal. Over the last decade, enrolment at the university has increased by over 10,000 students, with about 35,300 students enrolled last year. This enrolment growth has led to massive housing conversions in the Sandy Hill neighbourhood, where otherwise single-family residential houses have been converted into rooming houses for rent to University of Ottawa students. The spate of housing conversions in Sandy Hill has led to bylaw changes by the city of Ottawa to crack down on housing conversions as well as the formation of a “town and gown committee,” made up of local police, city officials, university administrators, and local residents. Bob Forbes, vice-president of Action Sandy Hill, a residents’ association dedicated to preserving the character of the neighbourhood, argues that the University of Ottawa did not adequately prepare for its massive enrolment growth. “The University of Ottawa nearly doubled its population in the last 15 years and it didn’t really plan for it, so it didn’t build student residences,” Forbes, who sits as a representative on the town and gown committee, told the Manitoban. 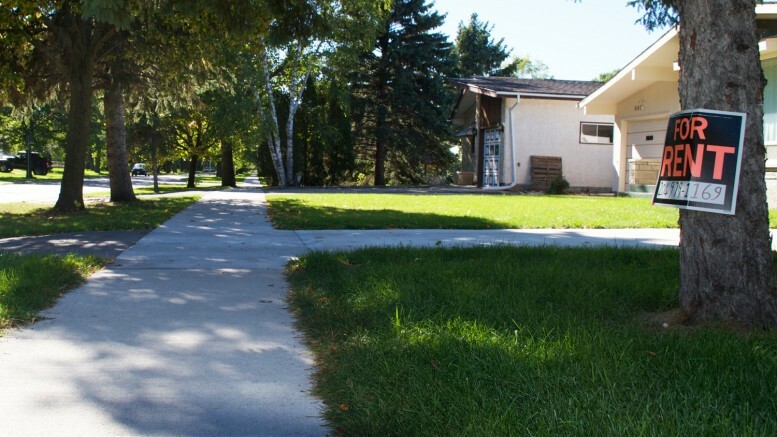 Unlike the St. Norbert and Fort Richmond neighbourhoods that surround the University of Manitoba, where zoning bylaws prohibit rooming houses entirely, the Sandy Hill neighbourhood has more permissive zoning requirements. Sandy Hill is mostly zoned as R3 and R4 Residential, which is meant to facilitate mixed-use development in central urban areas. Rooming houses are permitted as part of these zoning bylaw categories, including the conversion of residential homes into multi-unit rooming houses. The bylaw allows for the conversion of single-family units into up to four units, but frequently these four units would each contain up to six bedrooms. “These things are called bunk houses […] they would be very ugly boxes, sometimes of four units each, but each unit would contain six bedrooms and they function as illegal rooming houses because they aren’t licensed,” Forbes said. Allowing conversions was widely seen as a loophole in the zoning bylaw that allowed for the creation of rooming houses without meeting stringent regulations for such housing, according to a pamphlet sent to residents from Mathieu Fleury, city councillor for the area that includes Sandy Hill. “Originally, the converted dwellings use in the zoning bylaw was created to protect large homes from demolition, by allowing owners to convert the homes into apartments,” the pamphlet states. The result was a virtual moratorium on conversions while the City of Ottawa completed infill bylaws that would eventually bring in stricter regulations on housing conversions. Coupled with some new legal student residences in the area, including the conversion of a 400-bed hotel on Rideau Street into student housing, there has been some significant progress made due to the pressure exerted by the town and gown committee. At McMaster University, tensions have arisen between students living in multi-unit housing and long-time residents in the Westdale and Ainslie Wood neighbourhoods surrounding the campus. These tensions have sparked the formation of a Neighbourhood Residential Rental Housing Community Liaison Committee by the City of Hamilton to examine rental housing regulations, as well as influencing the mandate of a Student Community Support Network established by the McMaster Students Union (MSU). “There has been a lot of rhetoric around the ’studentification’ of Ainslie Wood and Westdale and this grouping of students contributing to the deterioration of the properties in the neighbourhoods surrounding McMaster,” said Daymon Oliveros, director of the Student Community Support Network. The Student Community Support Network has been primarily involved in educating students about their rights when it comes to landlords and renting in the neighbourhoods around McMaster. For Coun. Lukes, Stony Brook Concerned Homeowners Ltd, a residents’ association formed to combat the proliferation of illegal housing for Stony Brook University students, offers an excellent model for the association she hopes to form in the coming weeks and months. “It is really important to form a residents’ association and take ownership of the problem,” Lukes told the Manitoban, adding that she would like to commission a more formal jurisdictional scan of other university communities in addition to the one conducted by Rebizant over the summer.